Riding on vast volumes of expertise in this arena, we are occupied in offering Aluminium Foil Scrap. These are available in various quantities. These are widely recommended for its good quality. 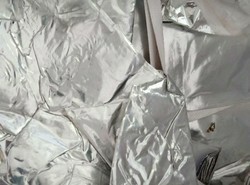 Owing to our experts and rich industrial knowledge, we are keenly successful in presenting Aluminum Foil Scrap. We offer these in various packings. We offer them at market leading rates. 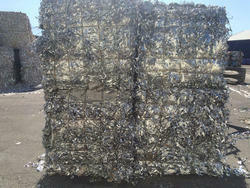 Aluminium Foil Scrap Available in Sonipat, Haryana... Quantity Available is 20 MT... Price on BID Basis.. Highest BID will be honored. Order is Subject to reconfirmation and Stock Availability !